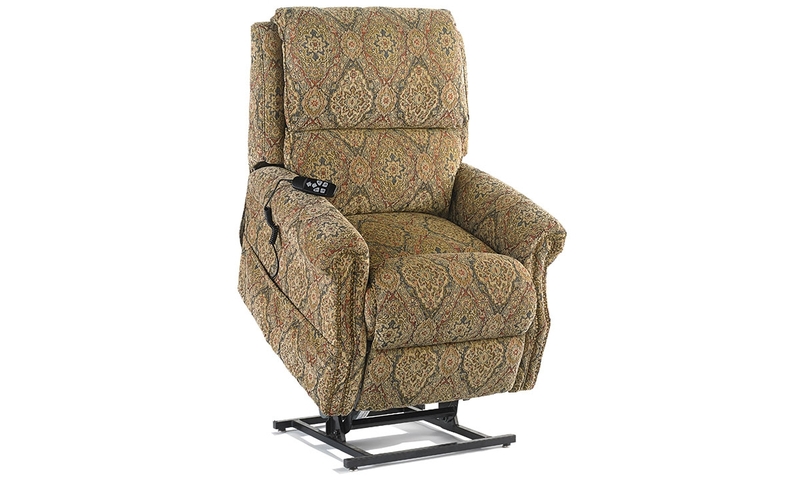 Chaise power lift recliner with attached remote control with roll arms and nail head trim. Featuring traditional upholstery and nail head trim, the Persian power lift recliner marries traditional style and total comfort. The full leg chaise and padded roll arms add softness, while the welded steel base and power 2 motor provide up to 400 pounds of lift capacity.